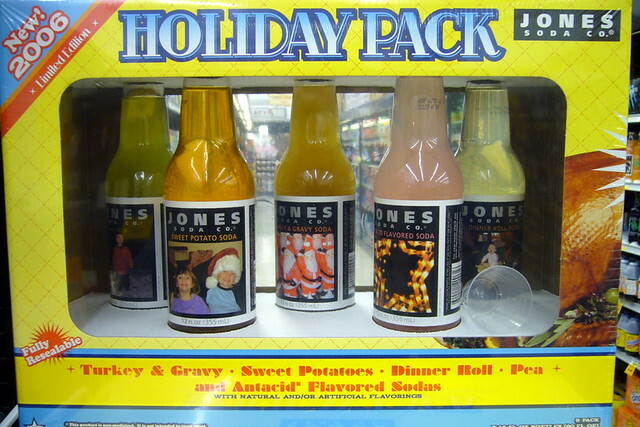 I sure hope that the future of marketing tastes better than Turkey & Gravy soda. But I got your attention – it was a cheap trick and I was trying to make a point. What can you do in a Long Tail World to Stand Out? Turkey Soda stands out because it’s an unexpected term – as a long tail search, it will always be unique because it’s just a little bit weird, and a concatenation of two terms that people search more often – Turkey and Soda. And indeed, the image above has been viewed more than any other piece of content I’ve ever produced, even though it’s just a low-quality shot from five years ago. In an interruption-driven economy, you can gain attention by interrupting, but the half-life of that interruption is lowering over time to the point where trends on YouTube, Twitter, and Facebook decay within hours, if not minutes. So be loud (and unusual.) It’s clear that outrageous things stand about “above the fold”, but what then? This doesn’t happen very often. There are plenty of theories, and even a virality coefficient. So for the vast majority of shares, that don’t become interesting to a larger public, what should you do? There are a few lessons that we can glean from the idea of Turkey Soda to gain attention. Once you’ve interrupted someone and gotten their attention, you need to share relevant and interesting information – or they will leave for something else shiny and new. If it’s “on-brand” or really resonates with the customer you’re trying to reach, you have the opportunity to build a long-term relationship.